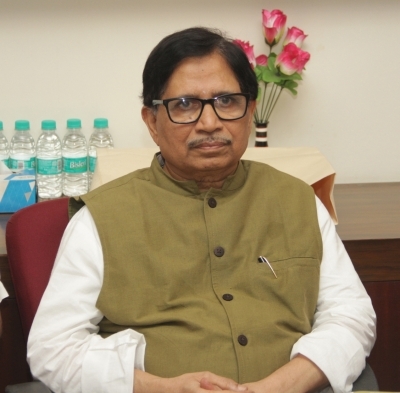 Panaji April 11 (IANS) Goa Congress President Shantaram Naik on Wednesday slammed the BJP and the ruling alliance for keeping Chief Minister Manohar Parrikar s health status a "secret" saying that even senior BJP leaders close to Parrikar have not been informed about his medical condition. Naik said that in absence of Parrikar who is undergoing treatment for advanced pancreatic cancer in a US hospital there was no functional government in the state and the administration had gone haywire. "The status of his health has been kept a secret from his close party people. Till today there is no official statement about the Chief Minister s health. It is a very bad practice " Naik said. He said that the people of Goa deserved to know about the medical status of their Chief Minister. "Who is there to take responsibility for the mess we are in? The Chief Minister is not here. There is virtually no government in Goa and administration is missing at all levels " Naik said. Parrikar was moved to the US facility in March a few weeks after he was first hospitalised in Lilavati Hospital in Mumbai on February 15 when he experienced stomach pain. While there has been no medical bulletin by the state government about the exact nature of Parrikar s medical condition informal notes circulated by the Chief Minister s Office have repeatedly said he suffers from "mild pancreatitis".